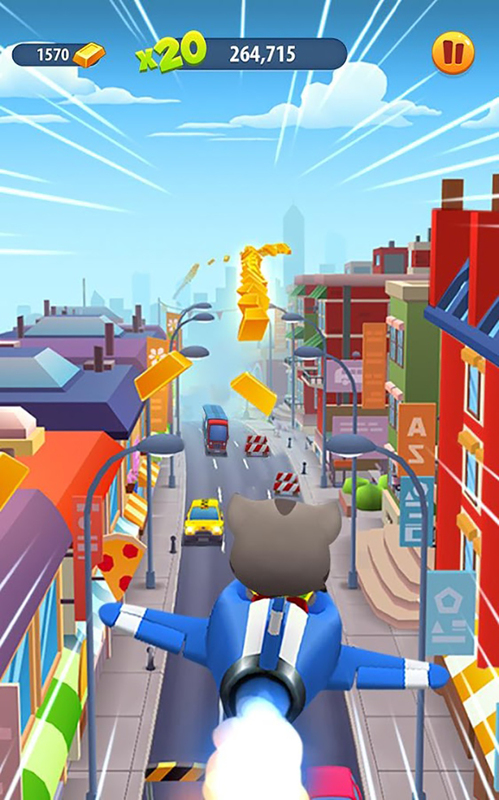 If you enjoy games by the team at Outfit7 Limited, like: Talking Larry The Bird and Tom Loves Angela then you'll want to check out their latest game: Talking Tom Gold Run! 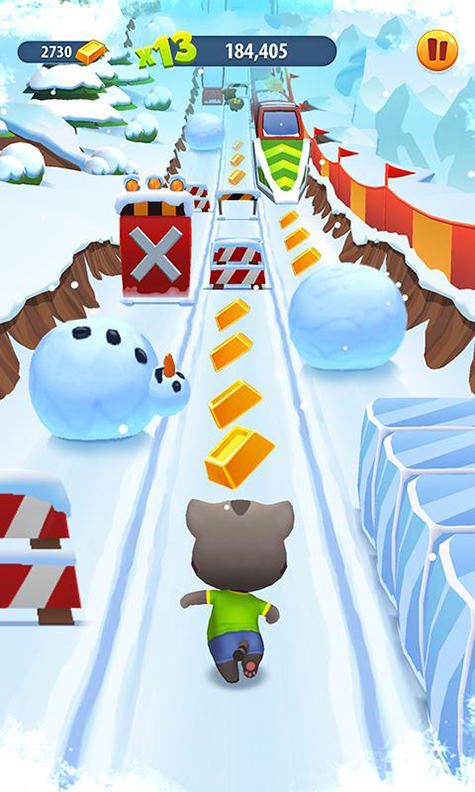 It's an awesome endless runner app full of all the excitement you'd expect. 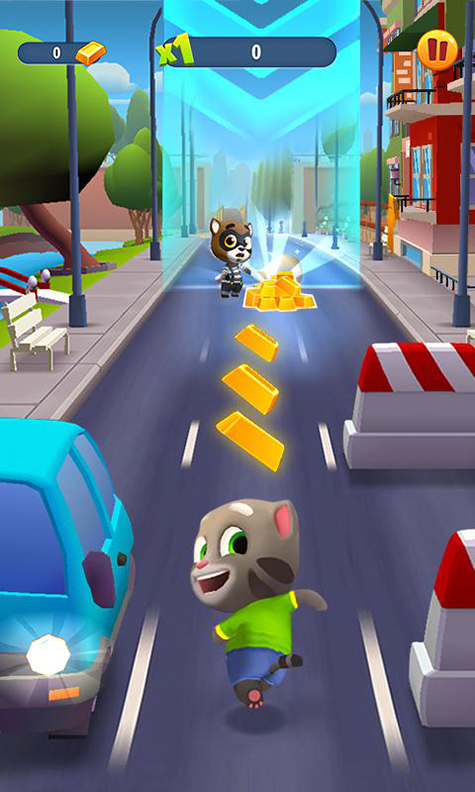 The story of the game is that you've been robbed and it's your goal to track down and catch the robber! He's taken your gold and you're the only one who can stop him! As you chase after him and collect gold you'll unlock new worlds to sprint through and get closer to building your dream home. You'll be able to select from all the well known talking friends characters as well. Are you ready to run? Lace up your shoes and get ready to roll!